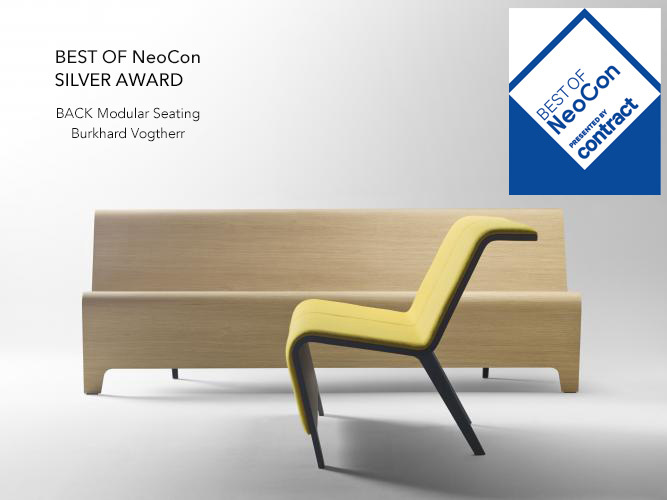 BACK Modular Seating, designed by Burkhard Vogtherr, has been awarded ‘Silver Best of Neocon 2018’ in the Bench category . This Award is a recognition granted by one of the world's most relevant event of the year for the commercial design industry in USA, NeoCon, held every june in Chicago. This competition was originally founded in 1989 to recognize the contribution of facilities managers to the contract furniture and furnishing specification process. These awards were given to products that reflected their purchasing power and their criteria: functionality, flexibility, quality and durability, aesthetics and style, innovation, and more recently, environmental sustainability. We are so pleased and proud to see how BACK Modular seating is being so well appreciated by all public. We introduced it at Clerkenwell Design Week Exhibition with great success and got excellent opinions on the side of architects, interior designers and stylists, and now NeoCon gives us a new Prize. 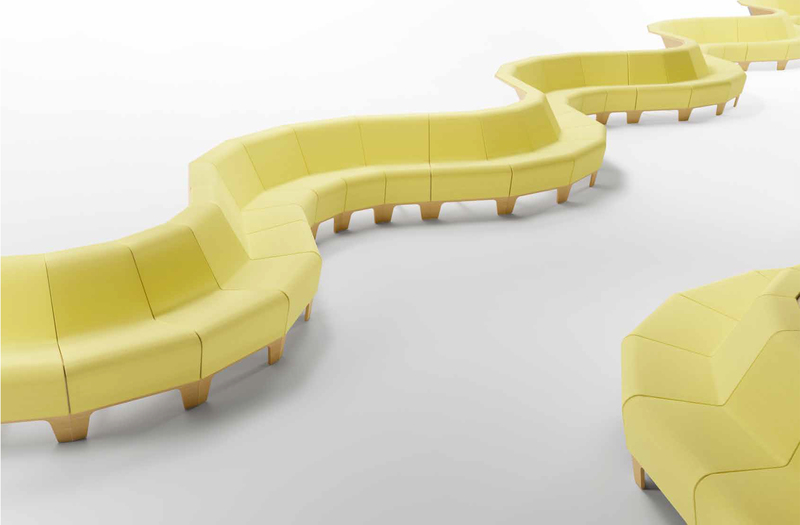 This modular bench becomes part of the furniture in great companies, universitites, culture centres, Banks, and even funeral homes.